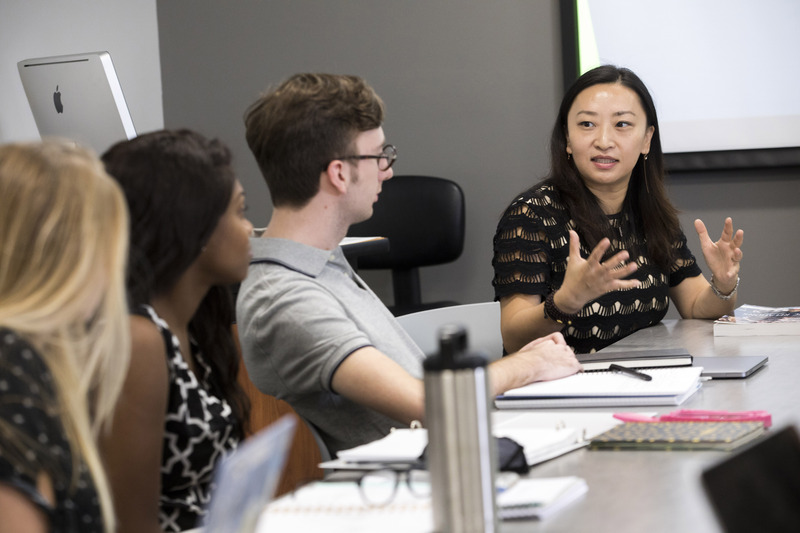 Juan Meng, an associate professor in the Grady College of Journalism and Mass Communication, gives students hands-on learning experiences that help them develop into leaders in public relations. I earned my bachelor’s degree in economics from Fudan University in Shanghai, China. My first master’s degree, in communication, is from Bowling Green State University with a concentration in organizational communication. Then I went to the University of Alabama to obtain my Ph.D. in mass communication with a concentration in public relations. While I worked toward my doctorate, I also earned my second master’s degree in marketing from the University of Alabama. I am currently an associate professor of public relations in the Grady College of Journalism and Mass Communication. I teach undergraduate courses in public relations research and campaigns as well as graduate courses related to public relations. I mentor some of our graduate students’ thesis and dissertation research. Another thing I enjoy doing here at UGA is directing the Grady College’s Choose China study abroad program, which I founded in 2013. I joined the UGA faculty in fall 2012 as an assistant professor. I was thrilled to come to UGA since my department, the department of advertising and public relations, was looking for a new faculty member whose expertise, both in research and teaching, remarkably matched my own. So here I am. I’m very lucky to be able to work with a group of top-notch faculty, as well as hardworking students, here across campus. I enjoy teaching our capstone course, “Public Relations Campaigns” because the content of the course involves the development and presentation of a complete communication campaign for a real organization. Student teams are challenged at various levels in this course, from team collaboration, to problem/opportunity identification, to strategic planning, to creative thinking and to campaign evaluation. It is critical for students to move beyond the “knowing” perspective to the “know-how” process. As the director of the Choose China program, I enjoy leading a group of students who travel to China each summer and offer them the best opportunities to learn current practices in advertising, public relations, social media and integrated communication from market leaders in today’s China. It feels amazing and rewarding to see students get firsthand knowledge regarding how communication agencies work in that region and how the cultural experience broadens their global view and understanding of international communication. There is always a highlight or so in every semester to make you proud of your work, help you believe in what you are doing and remind you that it’s something you really enjoy doing. One highlight is when I wrap up each year’s Choose China study abroad program; I am always deeply moved when students express their appreciation for making the trip the experience of a lifetime. You know that your hard work and efforts made a difference in the way they see the world. 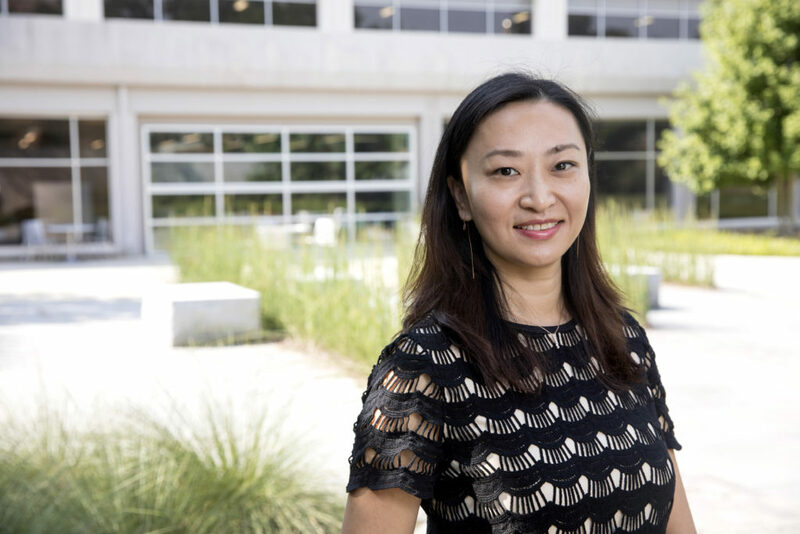 In November 2017 one of my graduate students, Ruoyu Sun, won the 2017 Makovsky Best Master’s Thesis of the Year Award. This award is sponsored by Makovsky, an independent integrated communications firm, and by the Institute for Public Relations to recognize and encourage graduate study and scholarship in public relations. It is rewarding to see students’ success at various levels. My research centers on leadership in public relations. In light of the fact that the concept of leadership in public relations has not been widely and strategically addressed by the communication profession, it is even more critical to explore how we can cultivate and develop excellent leaders in public relations. I have collaborated with the Plank Center for Leadership in Public Relations for over 10 years on various research projects to address this important present and future issue. In 2014, based on a three-year global study of leadership in public relations, we published a book with Routledge, “Public Relations Leaders as Sensemakers: A Global Study of Leadership in Public Relations and Communication Management.” With its global scope, I hope my scholarship not only provides a current and compelling picture of expanding global practice but brings up more practical implications for the industry. My research helps me demonstrate to my PR students that leadership matters in a communication setting when you need to do strategic planning. It also inspires me to integrate discussion and collaboration into teaching to promote a more informed and systematic development of future leaders for the profession. I hope my PR students understand the meaning and the role of leadership in public relations practice. I hope their learning journey with me inspires them to be visionary, future-oriented, lead under diversity and transform diversity into competitive advantages, no matter in a classroom setting or in public relations practice. My ideal student is curious, motivated, responsible, humble, has a strong desire to learn and lead, and is open to diverse conversations and solutions. I enjoy taking a walk on beautiful North Campus after I finish a day of teaching. I love watching students reading, relaxing or just hanging out with their friends at various spots on North Campus, as it feels vibrant, bright and fresh. I also like to take my daughter to the Georgia Museum of Art on weekends when they have special exhibitions. It is so nice that we are so close to great art exhibitions. I like to travel around the world with my husband and my daughter each summer. I personally truly believe that traveling to a new destination is the best way to experience cultures and learn how diverse the world is. I travel to explore different food cultures and eat yummy food. My students know that I am a foodie. When we travel abroad as a group, we always explore different types of cuisines and enjoy the local food culture. I also enjoy practicing yoga during my very limited spare time with the hope that I can be a yogi one day. I am deeply inspired by one of my yoga teachers, Debi, who I have practiced with for the past four years. My community involvement is largely through my dedication to service-learning by working with different local nonprofit organizations and various social causes here on campus or beyond campus. Being a Service-Learning Fellow means so much to me, as I get to know and connect with people who are also passionate about community relations and community involvement. This is a hard question, as it is very difficult to pick one. I think my all-time favorite writer is Eileen Chang (also called Zhang Ailing), one of the most influential and gifted writers in modern Chinese literature. One of my Chinese literature professors in college introduced me to her work, and I have collected all of her books. Out of all her literature works, my all-time favorite is “Half a Lifelong Romance.” I have read this novel many times and watched the film that was adapted from it several times. The way her writing describes loneliness, desperation, sensitivity, as well as deep human emotions, is incomparable. I am starting my seventh year on faculty at UGA this year. I’ve had many memorable experiences here. One of my favorites was participating in Grady College’s Centennial Celebration in 2014. We all went to the Centennial concert featuring Freedom Sings, as well as the Centennial Gala at the Classic Center in Athens. When you get the chance to honor the past, it makes you so grateful to be present and be a small part of the college’s excellence in journalism and mass communication education.